Another great holiday. We arrived to find the net over the pool damaged, but this was fixed within 3 days by the management company. Very very hot outside, but with fans on the inside was always comfortable. 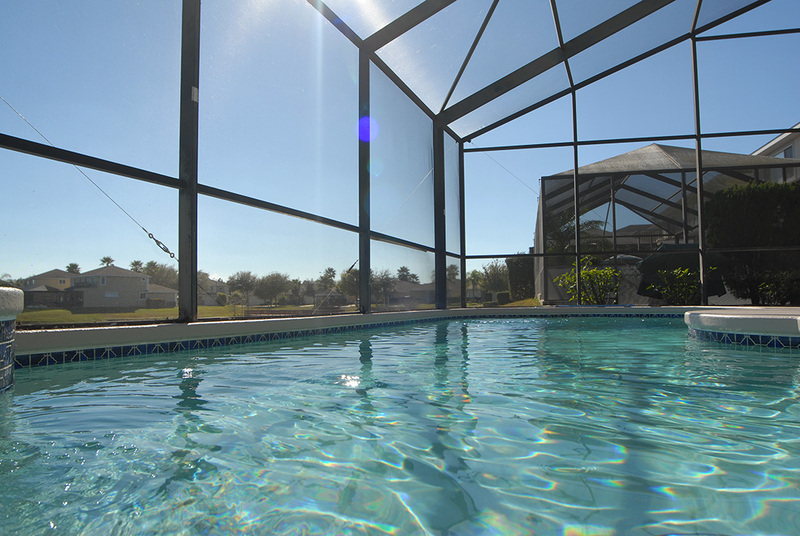 Pool temperature perfect without needing any extra heating. We very much enjoyed this home away from home. It was very comfortable with all necessary amenities. Very, very convenient to all the Disney parks. The pool and deck area was terrific. Can’t beat the wonderful beds and bedrooms. Decorated beautifully. Would highly recommend. We had a very good stay in this home, very well located near to Disney parks and facilities: restaurants, supermarkets, drugstores. The swimming pool was the favorite kids activity when they were back from the parks or for free days. Also, the maintenance support it is prompt to help you when needed. What I would suggest it is to remove the carpet from the bedrooms in the 1st floor that could make it easier to clean and it is not so heavy for the climate from the region, especially on summer days. We enjoy very much our stay! A group of 6 of us, attending a conference, stayed at the villa for a week. The villa had everything we needed – very comfortable. I would have no hesitation using the villa again or recommending it to anyone else.